Blah, Blah, Blog… What’s the Big Deal? There’s something I really like about writing a blog about blogging. We’re always told the best leaders lead by example, so it just seems fitting I should carve out a little time to write a blog about blogging. My clients ask me all the time if I think they should start a blog for their business. Most of the time they rattle off a litany of reasons why they can’t, or haven’t yet. The number one reason most people don’t start a blog for their business is that they simply feel like they don’t have the time, and if there’s anything I really understand about running a business on top of everything else we do in the world, it’s definitely that feeling that there’s never enough time. Just like everything else you do for your business and personal life, finding time to write a blog is all about sensible scheduling, reasonable expectations, and responsible deadlines. But why should you even consider doing it...? I like to think about blogging as both a way for me to focus my thoughts and insights, hone my skills, and reflect intentionally on the work I do; and a way I can provide real value to my clients and community. Your business is constantly jockeying for attention from loyal customers, and working to build an engaged and active audience. The more value and insight you can provide for what is basically free, the more likely you are to build and retain an enthusiastic customer base. Blogging is a way for you to differentiate your business from all the others. It’s where you can express your own personality, share valuable insights and information with a community that is interested in what you have to offer, and distinguish yourself as knowledgeable and experienced. Blogs aren’t limited to simply writing. The most dynamic blogs include photos, videos, links to specific pages on your website, or other social media platforms. The more you can do to keep your audience engaged, and provide access to insights and information they’re not finding elsewhere, the more they’ll come to rely on you and share your blog with a wider audience. Blogging for your business also provides you with ready-made content for other social media platforms. Writing a blog post once or twice a month should be a key part of your overall content marketing and social media strategy, and it’s a great way to drive traffic to and from all of your online venues. 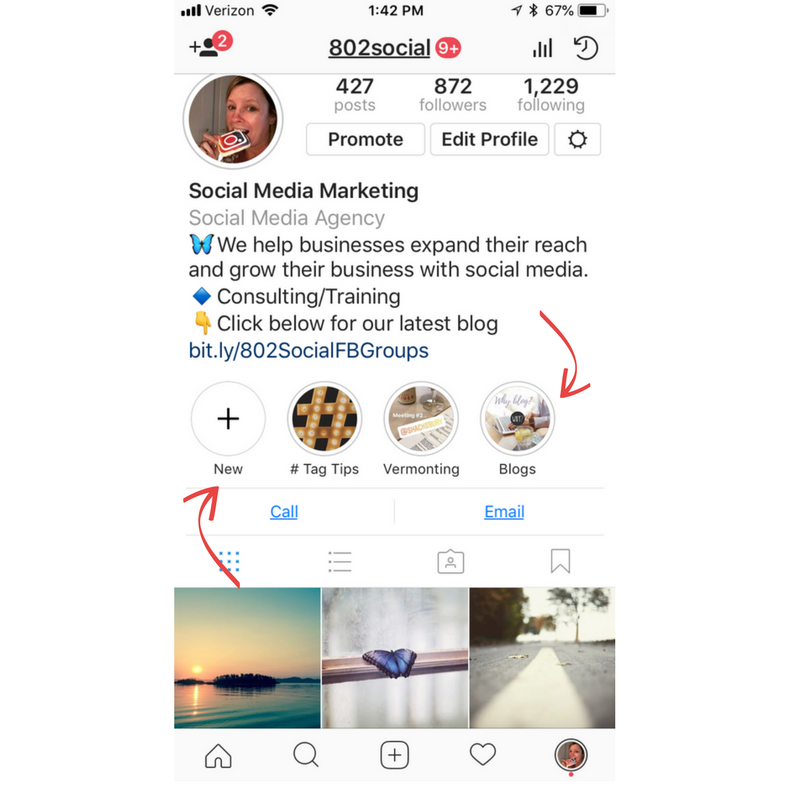 New and relevant blog posts provide content and targeted destinations for email marketing campaigns, Twitter, Facebook, and Instagram posts. All your social media postings should include links to your various other social media outlets, websites, and related blog posts. It’s like a shell game, except that under every shell there’s more interesting and illuminating information, and it keeps people and search engines interested and engaged in your business. Sometimes you just have to the feed the beast, and this beast loves valuable, relevant content. Google and other search engines are constantly scouring the internet and your website for new and dynamic content. Static, stand-alone websites that haven’t been updated in years, fall off a proverbial cliff when it comes to search engine ranking. Blogging is an exceptional way to keep your website and other social media platforms active and attractive to search engines. Any new strategic content, text, videos, images, links you post, all work to attract search engines back to your website where they review your site and increase your ranking. Make your blog a part of your business, or more importantly, a part of your business’ marketing strategy. Blogging shouldn’t be a chore, it should be more of an opportunity once or twice a month to sit down for an hour and focus your attention on something specific and interesting about the work you’re doing. Don’t worry about length. Short blog posts with a couple of images and links are sometimes even better than longer posts that delve deeper into a particular topic. Use your blog to answer common questions you’re hearing from your clients and customers. Highlight new trends in your industry, or offer compelling solutions to your customers’ ‘pain points;’ they’re looking for answers, you just have to provide them, and blogging is a great way to do just that. Blog social with 802Social, we’re spreading the word!